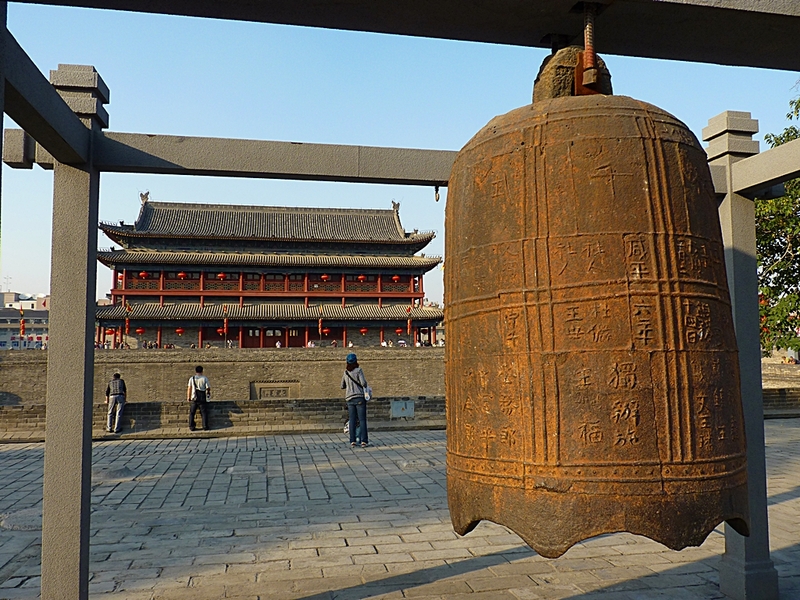 Ancient China Experience Value Tour – Only $1139! Click on an icon below for more information about this tour and the attractions on the itinerary. This detailed itinerary is an expanded version of the text in the PDF version of the EBXF itinerary. Click here for a simplified, printer-friendly version of the itinerary. Upon arriving at Beijing International Airport, you will be greeted by your tour guide and then transferred to your hotel. The rest of the day is free for relaxation or independent exploration. Free Pick-up Period: 9:00 AM – 11:30 PM. Passengers arriving within two hours of each other will be picked up together; extra pick up fee: $50/vehicle (transfer for 2-3 passengers). After breakfast, admire the striking exterior of the National Centre for the Performing Arts, which looks like an enormous eggshell, earning it the nickname “the Giant Egg.” Then visit Tiananmen Square, the biggest city center square in the world. With an area of about 44 hectares, it can accommodate one million people. Originally the front entrance of the imperial palace during the Ming and Qing dynasties, Tiananmen (“the Gate of Heavenly Peace”) was built in the fifteenth year of the reign of Emperor Yongle. When it was renovated during the Qing Dynasty, the new name Tiananmen was chosen to suggest the idea that the emperor’s mandate to pacify and rule the nation came from heaven. 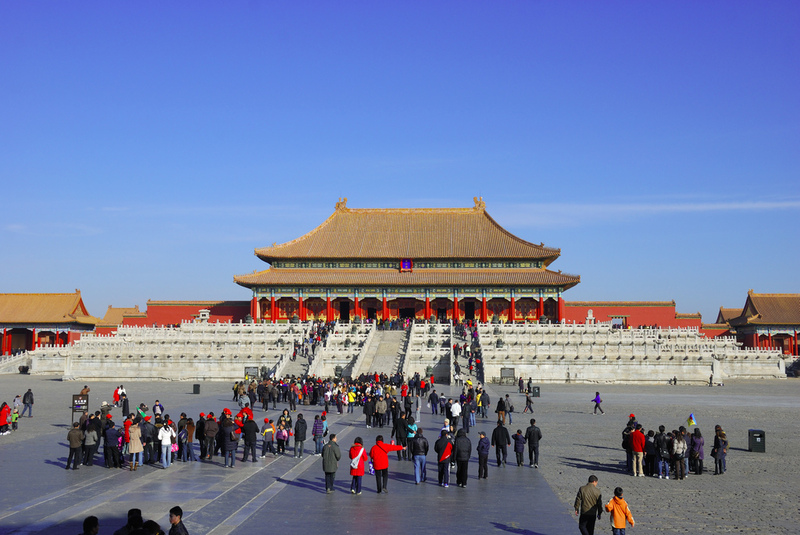 Next, tour the Forbidden City, a vast and exceedingly well-preserved complex that served as the royal palace for 24 consecutive emperors during the Ming and Qing dynasties. Highlights of the complex include art exhibits from every dynasty, exhibitions of Qing Dynasty cultural relics, the Three Great Halls, the Imperial Garden, and the Palace of Heavenly Purity. After lunch, visit the largest extant temple complex in China, the Temple of Heaven, where the emperors of the Ming and Qing held religious rites. The famous Echo Wall and Triple-Sound Stone are located here. Next, taste Pu’er tea, a popular and health-promoting type of Chinese tea, with your tour guide. After dinner, enjoy The Golden Mask Dynasty*, a popular theatrical performance with music, dancing, acrobatics, and stunning special effects. Then proceed to The Place*, a popular new shopping and entertainment complex whose fantastical “skyscreen” ceiling is one of the largest LED screens in the world. 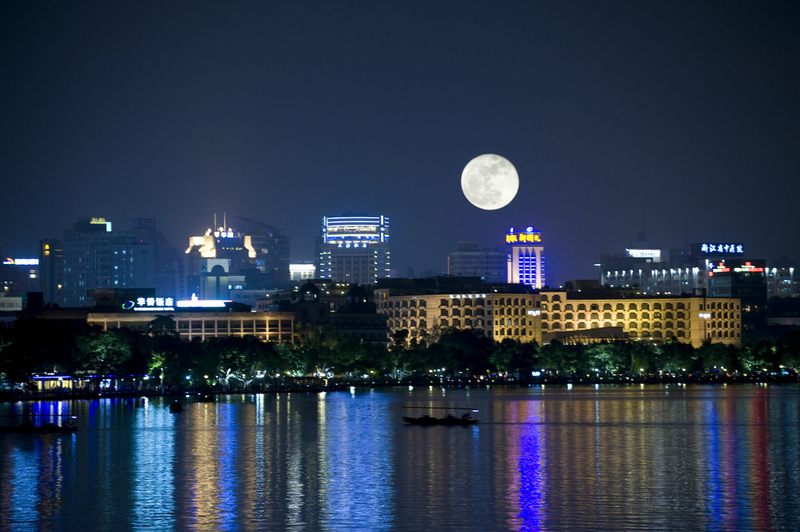 Finally, relax and admire the beautiful Beijing scenery as you take a night tour of Chang’an Avenue* in the comfort of a luxury coach. 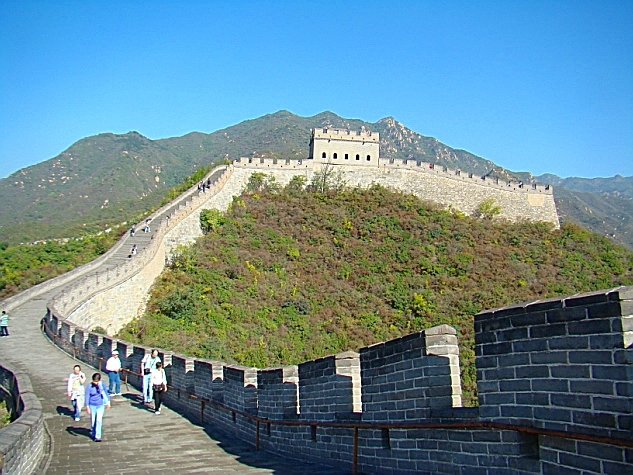 After breakfast, head to the Juyongguan section of the Great Wall of China, sometimes called the Eighth Wonder of the Ancient World. Located in a strategically important area that military commanders throughout history have sought to control, this stretch of the Great Wall is one of its best-reviewed sections. On the way there, stop at Bona Jade Museum and Store. After lunch, visit the site of many 2008 Beijing Olympics events: Olympic Park, where the famous National Aquatics Center, or “Water Cube,” and National Stadium, or “Bird’s Nest,” are located (exterior views only). Afterward, enjoy a relaxing free foot massage at a local products store to help your feet recover from so much walking. Finally, stroll along the pedestrian street at Wangfujing, a popular shopping and dining area, where you can find a wide variety of delicious and authentic food options (tonight’s dinner is at your own expense). 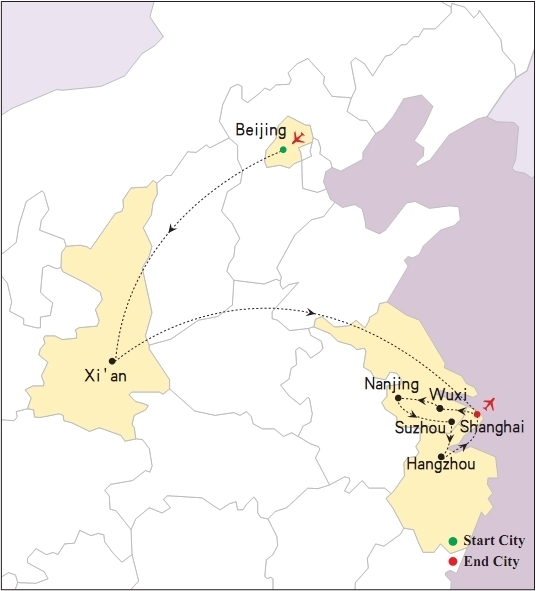 After breakfast, take an early flight to the ancient city of Xi’an in Shaanxi Province. Formerly called Chang’an (“Eternal Peace”), it is considered one of the great cities of the ancient world along with Athens, Cairo, and Rome. Over the course of Chinese history, Xi’an was the capital of eleven dynasties. Because it was the eastern endpoint of the legendary Silk Road, the city features numerous cultural relics and historical sites. Upon arrival, visit the enormous Xi’an Ancient City Wall, which still surrounds the center of the city. Built more than 600 years ago, it is the most complete city wall in China today and one of the largest ancient military defense systems in the world. Afterward, tour Small Wild Goose Pagoda, a Buddhist pagoda built during the Tang Dynasty (618-907 CE), and the adjacent Xi’an Museum, a modern museum whose exhibit of 130,000 pieces includes ancient sculptures and ceramics, jade artifacts, and a scale model of the city of Xi’an in ancient times. 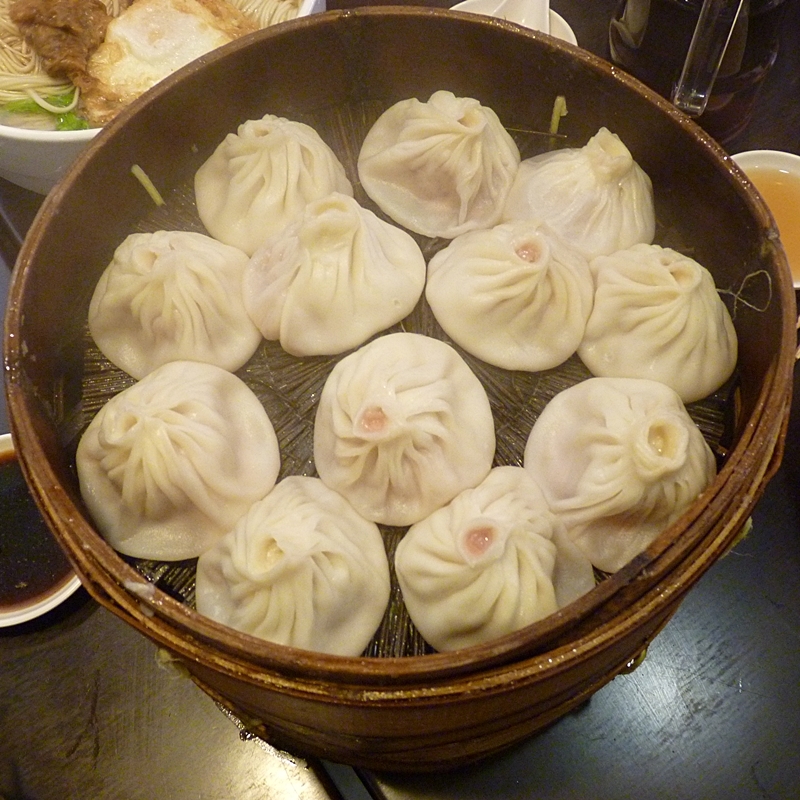 For dinner, savor the many kinds of exquisite dumplings available at the renowned Defachang Restaurant. In the evening, enjoy a thrilling Tang Dynasty Music and Dance Show* (optional activity for $30/person). 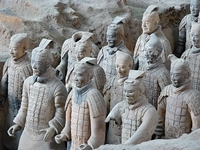 After breakfast, head out of the city to tour the world-famous Museum of the Terra-Cotta Warriors and Horses of Qin Shihuang. 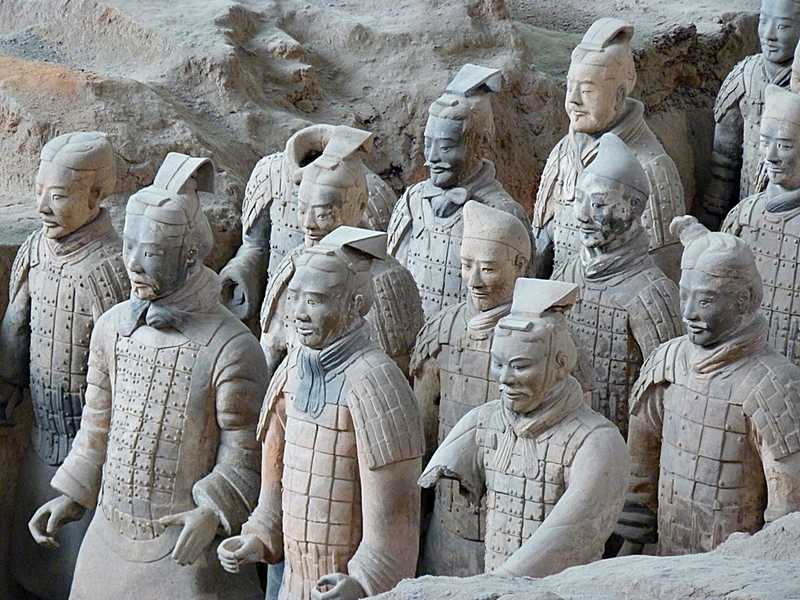 Perhaps the most important archaeological discovery of the 20th century, the terracotta army is one of China’s top tourist attractions. The pits where the army is still in the process of being excavated are an ancillary section of the tomb of the First Emperor of China, Qín Shǐhuáng. Afterward, visit a ceramic art factory, where you can learn about the process of creating the terracotta warriors and the “Tang tricolor glaze” (唐三彩, Tángsāncǎi) characteristic of Tang Dynasty pottery. Next, proceed to the grounds of Big Wild Goose Pagoda, which was built to preserve the valuable scriptures that the famous monk Master Xuán Zàng brought back from India (exterior view only). While there, enjoy a fantastic show in Asia’s largest musical fountain square, as streams of water, coordinated with famous pieces of music, shoot high into the air. (Show may be suspended on rainy or snowy days.) Afterward, stroll through Qujiang Pond Park, which contains numerous sculptures depicting Tang Dynasty society and culture. Take an early flight to Shanghai. Upon arrival, visit the City God Temple Bazaar, which is composed of specialty stores selling goods of every description, including artworks, jewelry, clothes, snacks, souvenirs, toys, and special folk handicrafts. Afterward, travel by coach to Wuxi. Visit Liyuan Garden and the Taihu Lake Scenic Area. The third-largest freshwater lake in China, Taihu Lake (also known as Lake Tai), is commonly believed to be the inspiration for Wuxi’s cultural achievements. Liyuan Garden harmoniously blends the tranquil charm of traditional Chinese gardens with touches of Western architecture. After lunch, continue to Xihui Park and Jichang Garden. Xihui Park is a sprawling scenic area composed of forested hills, cultural sites, and other attractions; Jichang Garden is a representative Jiangnan-style garden with rockeries, ponds, and pagodas. Afterward, stop at a pearl center and a zisha teapot factory. After dinner, check in to your hotel. After breakfast, transfer to Nanjing by bus. 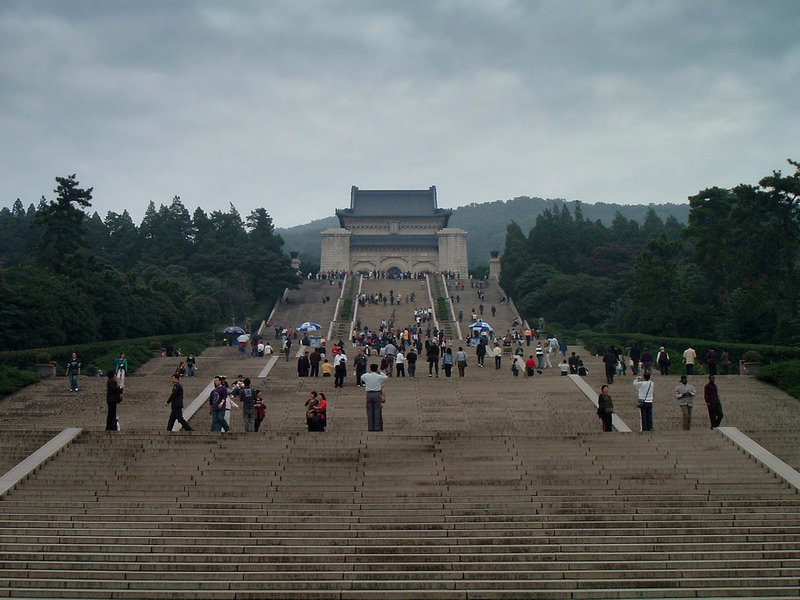 First, visit the Sun Yat-sen Mausoleum, the final resting place of the “Father of Modern China” and a place of pilgrimage for Chinese people both in China and abroad. Next, enjoy an exterior view of the 600-year-old Ming City Wall, the largest extant ancient city wall in China. Pass over the Nanjing Yangtze River Bridge, an impressive double-decked bridge that was the third bridge built across the Yangtze River. 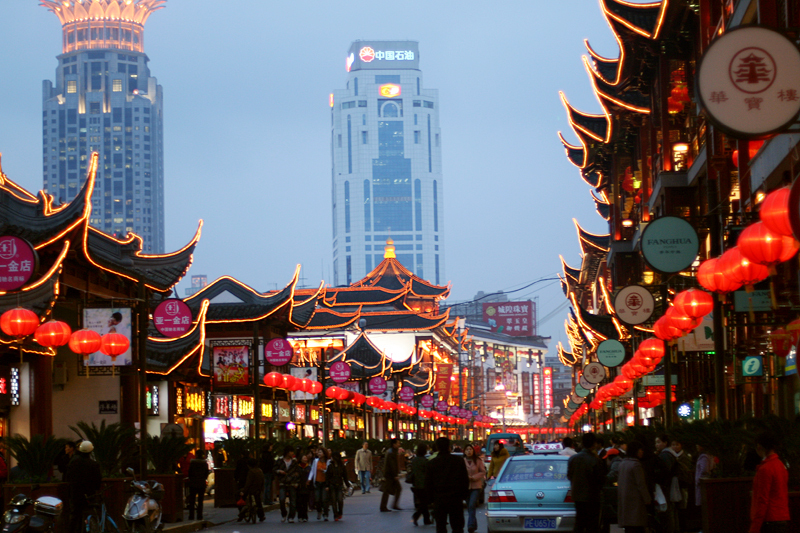 After that, visit the bustling Confucius Temple Bazaar and a jade store. The area around the temple consists of tourist shops, snack bars, restaurants and tea cafes, all in the architectural style of the Ming and Qing dynasties. After dinner, check in to your hotel. After breakfast, transfer to Suzhou by bus. 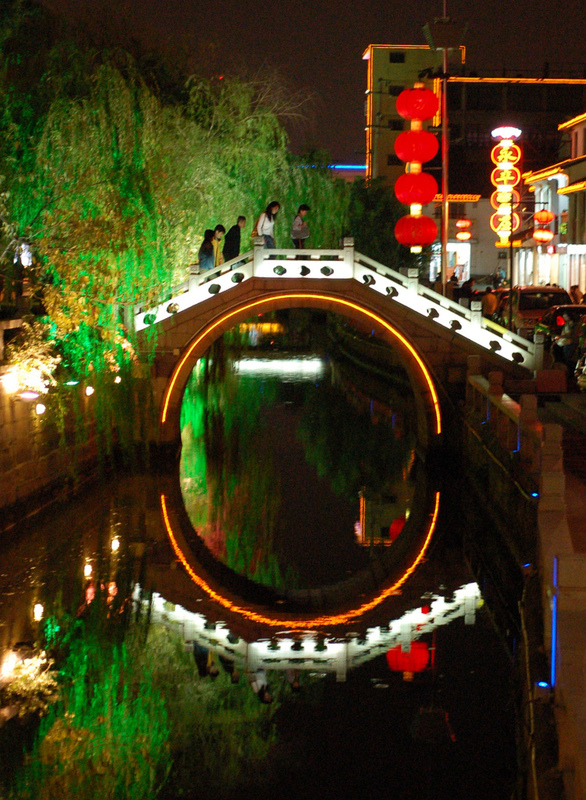 Take a cruise along Suzhou’s canals at Shantang Street, a Venice-like area famous as a center of trade and culture since the main canal’s construction during the Tang Dynasty; the area reached its peak of prosperity during the Ming and Qing dynasties. Afterward, tour Hanshan Temple, named after a legendary Tang Dynasty poet-monk whose name is usually translated as “Cold Mountain.” It is not only a charming historic temple but also a place of deep cultural resonance for people throughout Asia. Continue on to Panmen Gate for an exterior view of the 2,500-year-old gate. Famous for its “land-and-water” architecture, it was the only way through the city wall that surrounded Suzhou in ancient times. Next, enjoy the beautiful scenery of the newly developed Jinji Lake Scenic Area. Then you can get a taste of the enchantment of traditional Suzhou as you take a leisurely stroll along Guanqian Street* and enjoy its Qing Dynasty-era commercial street atmosphere, with many old and famous shops. Afterward, be dazzled by Yuanrong Times Square, a large, modern shopping, entertainment, and dining complex boasting a 500-meter-long LED screen, the longest in the world. Then enjoy a silk fashion show. After breakfast, transfer to Hangzhou by bus. Take a boat ride on the iconic West Lake, Hangzhou’s most famous attraction. As you relax, admire the storied scenery of the lake, which is bounded on one side by a modern downtown area and on the other sides by the natural beauty of Hangzhou’s hills. This scenery is one of the main reasons for the Chinese expression “Up above, there’s Heaven; down here, there’s Suzhou and Hangzhou.” Afterward, visit Meijiawu Tea Plantation. Aside from West Lake, Hangzhou is most famous for the Dragon Well (龙井, Lóngjǐng) green tea cultivated in the surrounding hills. Then enjoy Viewing Fish at the Flower Pond, popular for its large, colorful carp, and take in the lively yet spiritual atmosphere of Jingci Temple. During the tour, visit a jewel store to admire beautiful jewels found in the Jiangnan region. After dinner, enjoy a spectacular show: Night of West Lake*. After breakfast, transfer to Shanghai. In Shanghai’s Pudong Newly Developed Zone, marvel at some of the tallest buildings in the world, all of which have been built in the last two decades as the area has been transformed from farmland into a hub of international business, finance, and high tech. Afterward, stop at a honey products store before proceeding to Nanjing Road, where you can stroll among a sea of people, soak in the lively atmosphere, and enjoy free shopping time in one of the world’s most famous shopping districts. 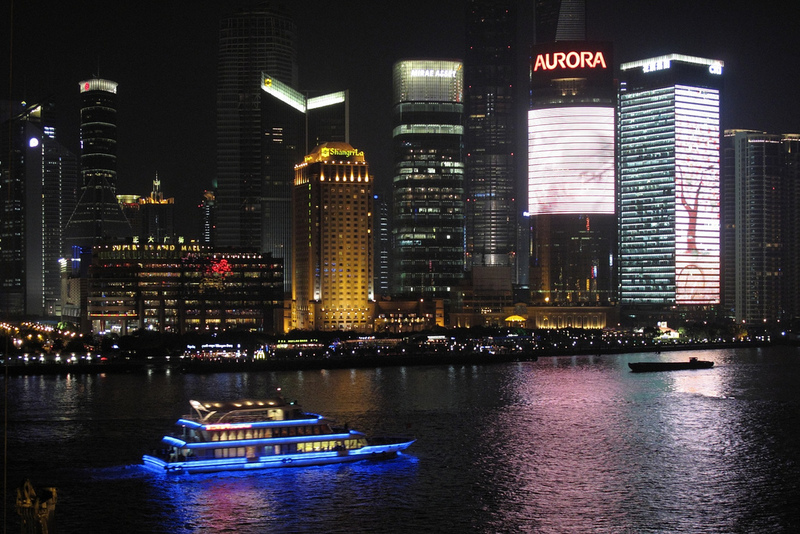 After dinner, take a Huangpu River Cruise*. While on the cruise, enjoy the city’s bright and colorful night scenery, including the Oriental Pearl Tower, a symbol of Shanghai and the tallest TV tower in Asia, as well as the Shanghai World Financial Center, the Shanghai Tower, and the colonial buildings lining the Bund on the opposite shore. After breakfast, transfer to the airport for your flight home or to your next destination. 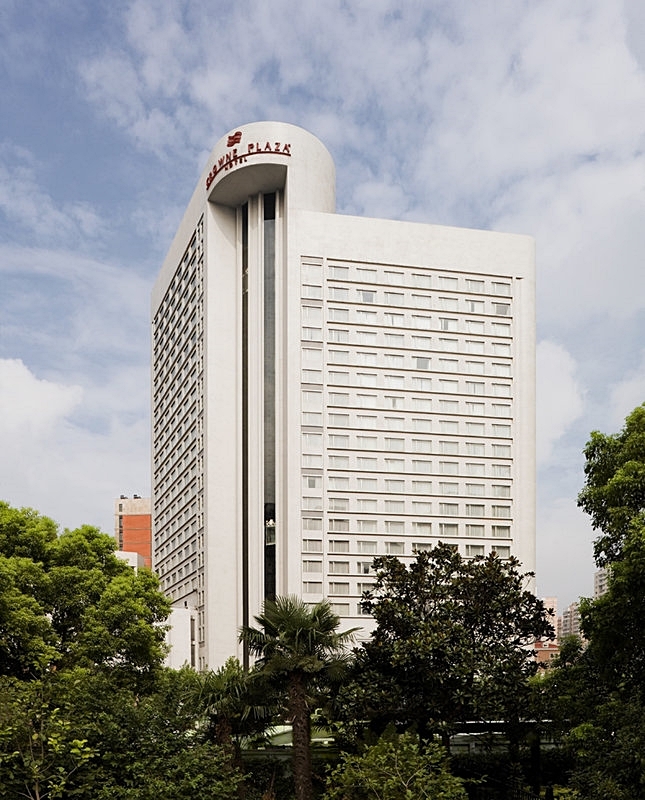 The hotels booked for the tour are all rated five stars by China’s National Tourism Administration. Alternate hotels of equivalent quality are only used if there is no availability at the listed hotels. If booking the Beijing – Xi’an and Xi’an – Shanghai flights separately, please book early flights departing between 7:30 AM and 9:00 AM. Tour fare excludes service charge. Service charge includes tips for tour guides, drivers, etc. The charge for adults and children is the same: $40/person in Beijing, $20/person in Xi’an, and $60/person in Jiangnan (Shanghai – Hangzhou). The total tour price, composed of the tour fare, special activities fee, and service charge, must be pre-paid at the time of reservation. The total tour price, including the Beijing – Xi’an and Xi’an – Shanghai air tickets, for one adult sharing a room with another adult, is US $1179. The total tour price, NOT including the Beijing – Xi’an and Xi’an – Shanghai air tickets, for one adult sharing a room with another adult, is US $779. The total tour price, including the Beijing – Xi’an and Xi’an – Shanghai air tickets, for one adult NOT sharing a room with another adult, is US $1559. The total tour price, NOT including the Beijing – Xi’an and Xi’an – Shanghai air tickets, for one adult NOT sharing a room with another adult, is US $1159. Note: Subtract $30 from these prices if not attending the Tang Dynasty show in Xi’an. If necessary, the tour itinerary is subject to changes based on local conditions. Because this is a discount tour package, no refunds of the tour fare can be given if you decide to cancel your trip or are unable to participate in the tour. We recommend that you consider purchasing travel insurance to protect yourself from the potential loss of your tour fare. Tour participants agree to stay with the group throughout the tour. Service charges (gratuity) for tour guides and drivers, and charges for the special activities marked with an asterisk, are mandatory charges separate from the base tour price. See the tour price information above for details. Visa fees, passport application or renewal fees, etc. See our China visa application information page for information about Chinese visas.